Do you have an Instagram account? Would like to follow you. 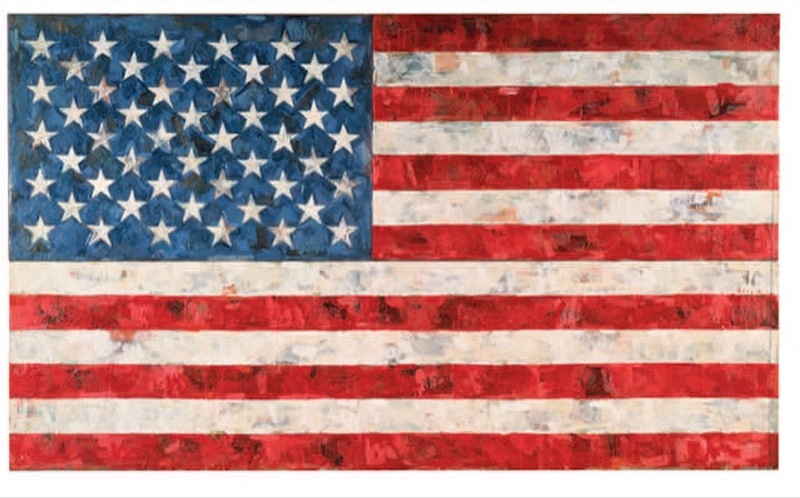 I enjoyed this month’s blog, with flags and Americana and hope! Art lives! Thank you, Bill. I hope this blog post brings a little peace and reconciliation to us all! 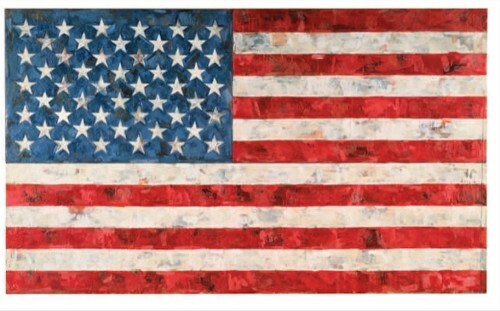 Thank you, Kirby, for these beautiful Americana paintings. We need to remember the goodness and beauty of our country at the end of our divisive, bitter, ugly election. Let’s not forget how much we love our country. Your feelings are exactly those I hoped to call up with this post. Thank you so much for validating exactly how I feel too! I had a good feeling as I saw Kirby Kendrick’s blog come up on my screen. When opening it, I felt comfort to see our American flag. I also liked the two pictures and the fact they were familiar to me. For those of us in our 70’s, representing The Greatest Generation, there has been so much unexpected happening around this election cycle. This was a good blog affirming America. Yes indeed, Lucille. We have a wonderful country and I am so pleased that this blog post touched you. American Gothic is a frightening picture..the woman is posed behind her scowling husband and she is looking askance and scared. He is looking with cold, hard eyes right at us with his sharp and threatening pitchfork as if to say” if you dare to cross me”! Nothing warm and inviting about this pictue…nothing alive in there to give us hope. 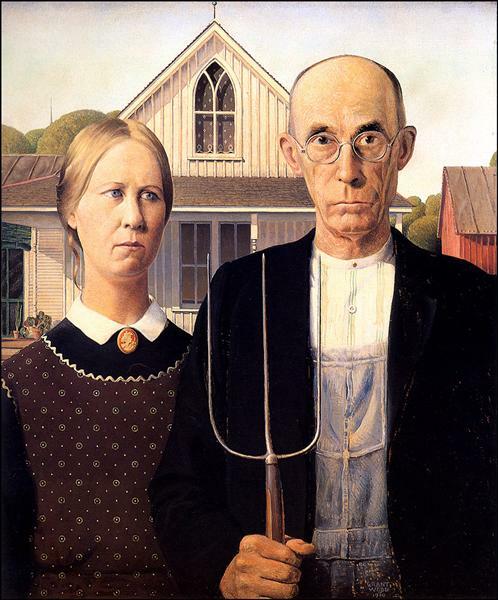 You are right in line with critics who have a different interpretation of “American Gothic”. thank you for such an astute and honest comment. David, I enjoy reading your replies to Kirby’s blogs. Very insightful. David is a very thoughtful and incisive thinker. We enjoy his comments also. Always enjoy your art blog. Thanks Richard, for following my blog. It is a real pleasure for me to share what I have learned about art! What a wonderful blog at such a wonderful time! Thanks you Kirby. 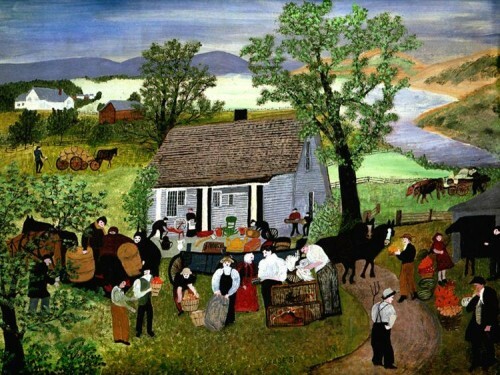 I love the grandma Moses quote – its all about your perspective!! Thanks for following my art blog. I learn so much from doing the research & I like to pass that on. Your blog is so much fun and informative too. Thank you, Sheridan, for following my blog. After the election I felt strongly that I had to do something in my own small sphere to counteract all the negativity. Art does have the power to transcend the temporary chaos, don’t you think? Happy weekend & I look forward to your insightful comments. I love receiving your blogs . . Thanks for following my blog. I felt so strongly I needed to do something in my small realm to counteract all the negativity. Hence the ” America How Great Thou Art ” post. Kirby, Excellent collection of American paintings for this post election period in our country. Wood’s “American Gothic” is so powerful and the mourning interpretation seems to be right on. Thanks for that insight. Thank you Kirby. Well chosen art works and a timely blog. I enjoyed the respite. Whew! We need a respite! America is great. It does need a restart. Please remember the struggle, the shed blood, the pain required to make America what it is. We have been on autopilot post WW II. Our youth is bright, educated but perhaps a bit self indulgent? Familiarity with success breeds boredom? Has too much, too long, and too easy had a consequence? No answers will flow from me. Positive friction can be beneficial. It can cause motion. It can cause reflection, as in … what’s going on here. Fear not a change of pace. We have come far not by accident but because of an uncommon blend of need and a strong dose of independence. Be calm, but don’t relax too much.